The philosophy behind Notes on Tea is to provide tea information ranging from reviews of tea houses to recipes of tasty things to eat with tea to histories of teapots and teacups. While I have written about plum kiflis, Samovar Tea Lounge, and tea art, I have not written about a basic thing: the processing of tea, from the tea plant to black, white, green, oolong, and scented teas. Black, green, white, oolong, and scented teas originate from the tea plant, Camellia sinensis. The difference in tea types results from processing of the tea leaves. White is the least processed of the teas compared to oolong which is the most processed tea. Tea leaves are steamed and dried to create white tea. The process for oolong tea is more complex and involves withering, shaking (to initiate the fermentation process), short fermentation, pan firing and drying. The making of black and green teas involves fewer steps than oolong, but also begins with withering and ends with drying. Steaming is the final step in making Japanese-style green tea. 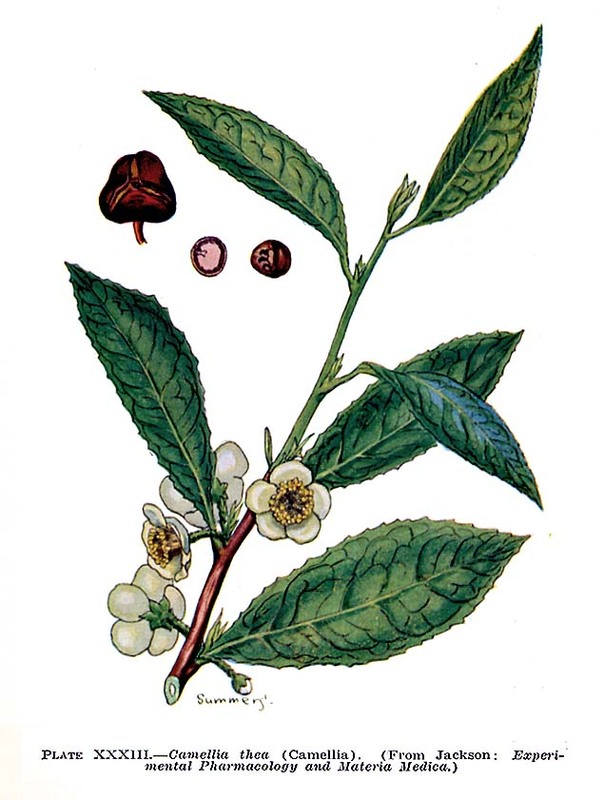 Black, green, and oolong teas are used to make scented teas. The teas are scented with flowers or fruits and then cooled. Herbal teas are prepared from the leaves, flowers, and roots of plants with medicinal properties, not from the Camellia plant.